“Who Made That? (Subway Signage)”—Who Knows? Jerry Kelly has emailed me (12 December 2012) with a response to Blue Pencil no. 24 but also with a request not to post his comments. Although I will honor his request not to quote him or his email I will respond to two of his assertions. First, he claims that Comenius Antiqua had oldstyle ﬁgures and suggests I look at the Berthold Exklusiv specimen. Although I am not sure which specimen from Berthold he has in mind, my copy of Berthold Probe 001 (undated but from the early 1980s) does not show oldstyle ﬁgures and none of the current digital incarnations of the typeface have them in their respective glyph palettes. Second, Kelly continues to assert that my posts on About More Alphabets contain additional errors but that he does not want to take the time to enumerate them. Once again, I will say that if I have made errors, then I welcome a chance to correct the record. 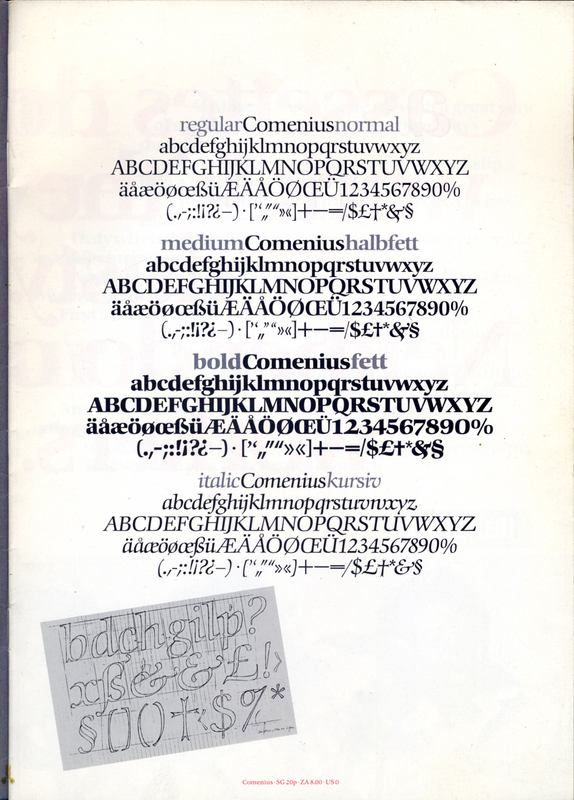 Until then, this will be the last post on About More Alphabets, but not the last on the typefaces of Hermann Zapf.